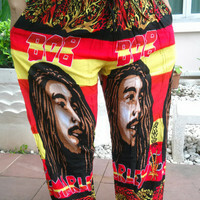 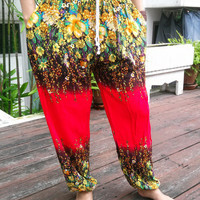 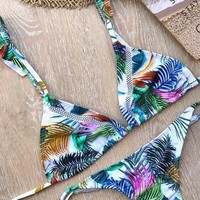 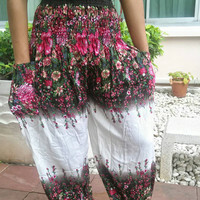 Thai Handmade Black Red Flowers stripes Yoga Pants/Harem/ Boho Pants/Print flowers design/elastic waist/Soft material/fit most/Long pants. 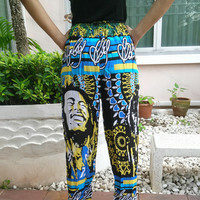 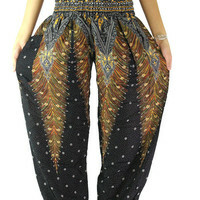 Black Yellow Print Yoga Pants/ Boho Pants/Harem Pants/Print flowers stripes design/elastic waist/Comfortable wear fit most/Comfy/Thailand. 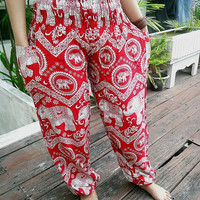 Red Elephant Yoga Pants/Harem Pants/Elephant Printed design/Stretch elastic waist/Meditation pant/Maternity pant/Relax pants. 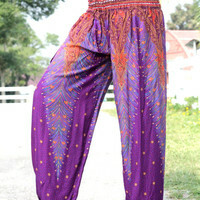 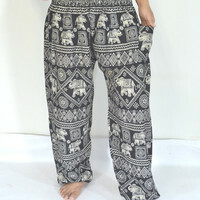 Yoga Pants Black, White and Purple color/Harem Pants/Hippie Boho/Print Elephant design/Elastic waist/Comfortable wear/Gypsy pants/Thai. 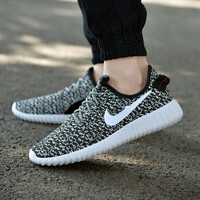 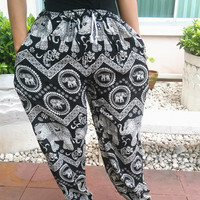 Yoga Pants Black grey stripes color/Harem Pants/Boho/Elephant Print design/Drawstring elastic waist/Comfortable wear/Message wear/Thailand. 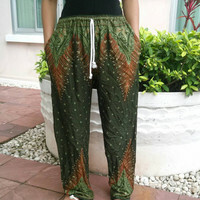 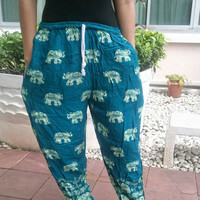 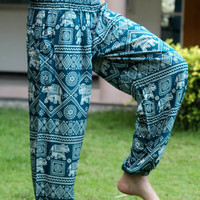 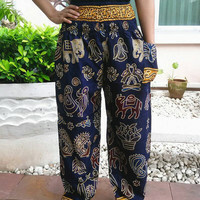 Elephant Yoga Black cream colors/Harem Pants/Boho/Elephant Print design/Drawstring elastic waist/Comfy wear/Trousers/Baggy pant/Thailand.